I was very excited when I first saw the colour of this lip gloss because I didn’t have any brown lip glosses in my makeup collection. But sadly, I can’t say that this product has won me over, because, even though, I am really digging the rich brown colour, I am not exactly happy with the finish and the longevity. The lip gloss isn’t sticky or anything and it does apply very easily, it’s just the fact that I felt very uncomfortable during the time when I was wearing it, because my mind kept on thinking whether the lip gloss hasn’t moved and whether I don’t have it everywhere around my mouth and face. If the texture would have been a bit thicker (maybe a liquid lipstick? ), I believe I would have liked it more. Ļoti, ļoti sapriecājos, ieraugot šī lūpu spīduma toni, jo manā rīcībā līdz šim vēl nav bijis neviens tieši brūns lūpu spīdums. Bet, diemžēl, es nevarētu teikt, ka šis konkrētais lūpu spīdums man ir iepaticies, jo kaut arī krāsa, manā izpratnē, ir perfekta, neesmu līdz galam apmierināta ar lūpu spīduma finišu un noturību. Respektīvi kaut arī spīdums nav lipīgs un uz lūpām tas uzklājas lieliski, manuprāt, tas pārāk viegli “staigā” un katru mīļu brīdi satraucos par to vai tas neatrodas arī citās vietās izņemot lūpas. Ja spīdums būtu vairāk pielīdzināts šķidrajai lūpu krāsai, tad iespējams man tas patiktu labāk. 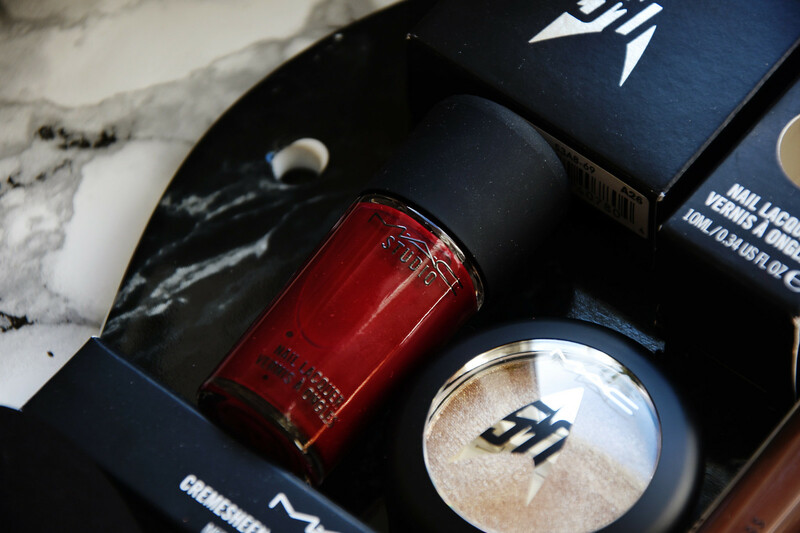 I think that this pressed pigment is such a beautiful eyeshadow – I am especially loving the glitter in it. 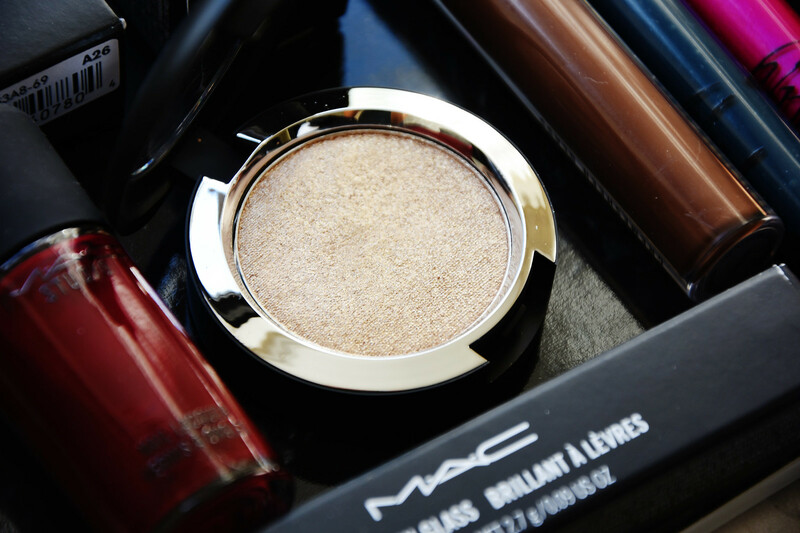 You can apply the eyeshadow very easily both with a wet brush (using the MAC FIX+) and with a dry one + of course, your fingers. The eyeshadow does have flexes of glitter inside, therefore, it might not be the best idea to use it as a highlight (for example, on the brow bone, inner corners etc. 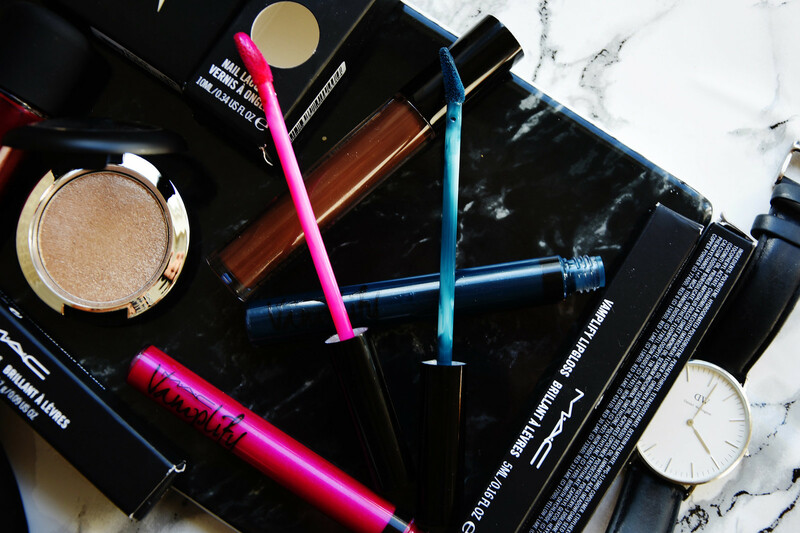 ), but it will surely look perfect on top of lighter shade eyeshadow. Burvīgas acu ēnas ar spīdumiņiem. Ļoti kvalitatīva un ļoti ērti klājas gan ar samitrinātu otiņu (izmantojot MAC FIX+), gan arī tāpat ar sausu otiņu vai pirkstgalu. Acu ēnām ir izteikti glitera gabaliņi, līdz ar to šīs acu ēnas īsti nederēs kā izgaismotājs (piemēram uzacu kaulam, vai acu kaktiņiem), bet derēs, lai izceltu gaišāku toņu acu ēnas, piešķirot tām jauku mirdzumu. I believe that this nail polish was just made for fall because of the gorgeous deep red/burgundy colour. This nail polish will definitely be one of my fall favorites just because of the deep and rich colour. The application process is easy enough and you only need two coats of the polish to cover your whole nail. The nail polish lasted around four days on my nails. Rudenim izcili piemērota nagu laka ļoti atbilstošajā tumši sarkanajā/bordo tonī. Šī nagu laka noteikti būs viena no manām rudens favorītēm, tieši pateicoties tumšajam un piesātinātajam tonim. Uzklāšana ir ļoti ērta un viegla, kā arī pietiek ar divām kārtām, lai pilnībā nosegtu visu nagu. Uz maniem nagiem noturējās vidēji četras dienas. 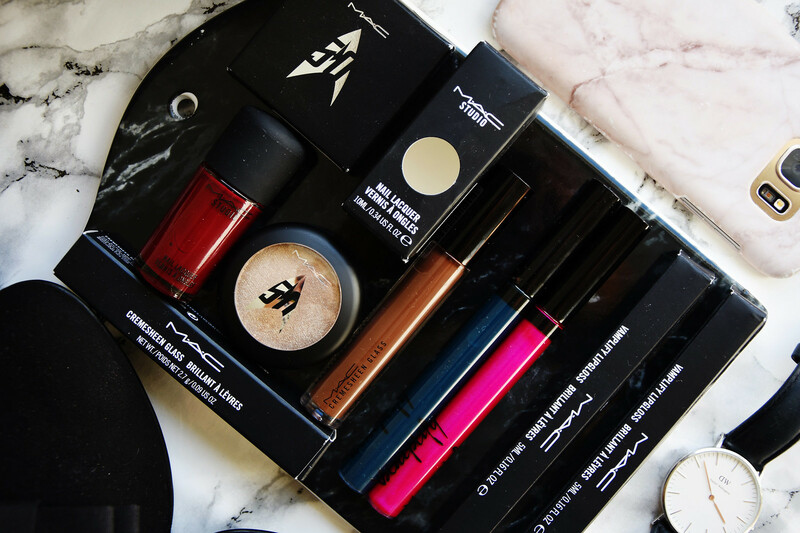 MAC Vamplify lipglosses in shades Acting on Impulse and What’s going on? 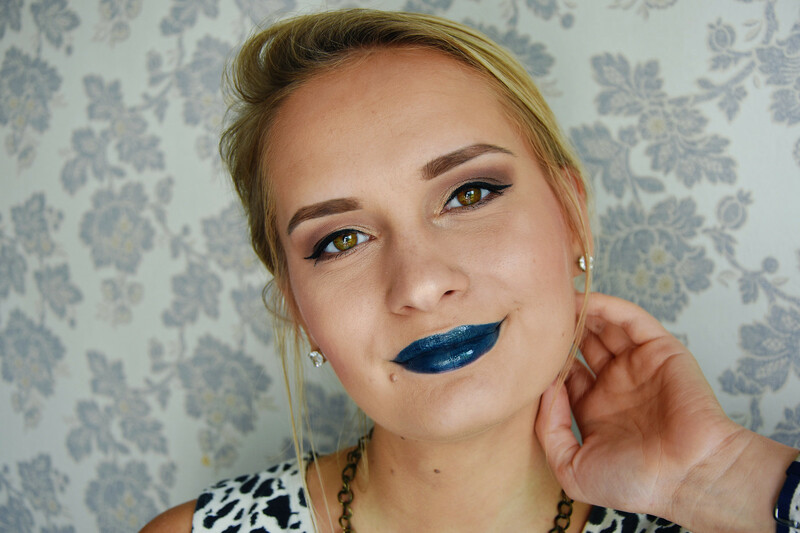 Have you ever tried a blue lipstick/lip gloss? Un, nu lūk arī galvenais iedvesmas avots manam grima tēlam – MAC Vamplify lūpu spīdums. Šie abi noteikti ir mani šī raksta favorīti, jo tiem piemīt patīkama tekstūra un super spilgta un krāsaina toņu izvēle. Iepriekš nekad nebiju eksperimentējusi ar zilo lūpu krāsu/spīdumu un, godīgi sakot – man patīk! Protams, šādu grimu neizvēlētos ikdienai, bet kādai rudens ballītei vai pasākumam – noteikti. No abiem spīdumiem man vislabāk patika tieši spilgti rozā tonis, jo tam bija labāka noturība un tas bija arī pigmentētāks nekā zilais tonis. Vai esi kādreiz mēģinājusi zilu lūpu krāsu/lūpu spīdumu? Would love to try the brown one, despite your review, the color is one of the top trends for falls, after all. I remember buying the RETRO MATTE LIQUID LIPCOLOUR in OH, LADY and going ooh and ahh in the store and then coming home to understand that I really don't like the texture and feel on the lips, but time went by and I ended up loving the product. Appears I just wasn't used to such formula and it was something new to get used to. Totally agree with you. 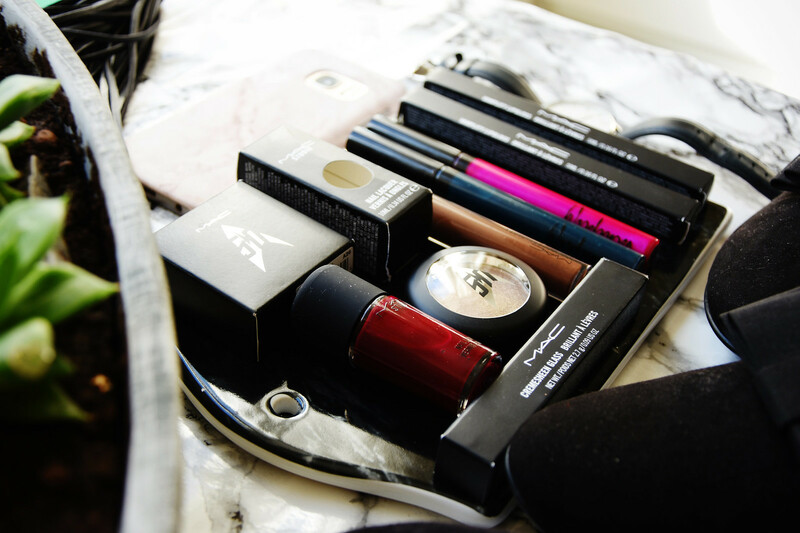 I had never thought that, firstly, it would be so much fun to play with makeup and, secondly, that I would wear such bold and bright shades on myself. 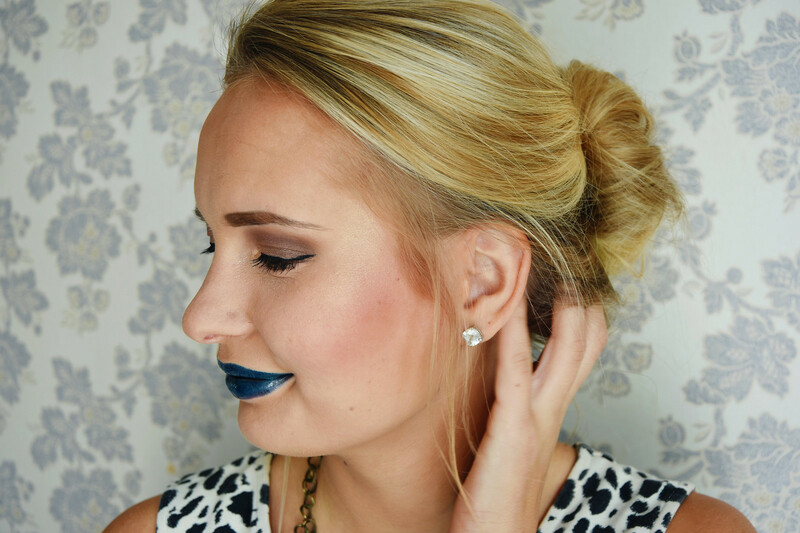 I would totally love seeing you rocking a blue lipstick! Somehow Mac never seem to interest me. I know they always come out with new fun limited collections. this lipstick looks so much fun and make up have it's magic that you can make so many looks and take it off like nothing happen. I like that you tried out the blue one and you look gorgeous as usual. I have a completely different feeling about MAC, though. I have always admired their products and how qualitative they are. 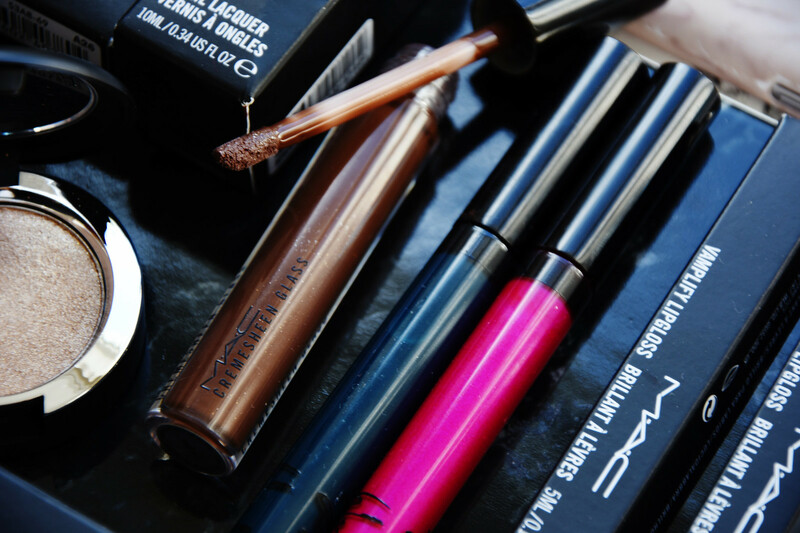 Their lipsticks are ones of the best I have ever used. This lipstick is gorgeous!!! It fits you so well.. Sorry the Mac King pin let you down, I like the color, but I love this blue on you, sort of goth and cool, and a little bit electric! I know the colour is so perfect for fall!